My brother is thinking of putting up a storage shed for his construction materials. He’s into construction business and when his project ends up he wants to secure his equipment and excess materials in a place that he will feel safe and secured. 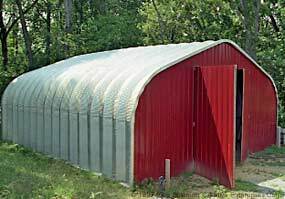 Since he needs big space and quality made building he’s considering the possibility of having steel buildings to store in his construction things. This kind of building is easy to assemble and withstands storm and other nature disturbance so my brother will feel more secure that his equipment and tools will be protected. 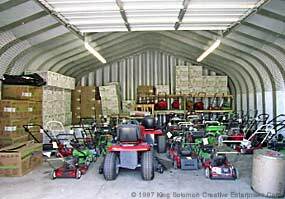 It would save him a lot to have a good storage so he will not always buy for the lost or broken tools which happens when storage is not very dependable. As early as now we should be thinking of our holiday gifts for our family and friends as days are passing by so fast you’ll be surprise that you’ll have no time left to complete your holiday gift list. I’m back in corporate world so my list would also include office mates aside from my kids’ teachers and some friends. It’s easier to think of gifts for girls and women than on boys and men because they usually have fewer preferences. For my own dear husband I sometimes have repeated kind of gifts in all the years that we’ve been together. Thinking of gifts for him is exciting but few times I ended up buying the same thing as I find him loving the gifts I bought him. He loves gadgets, accessories and tools so those kinds are always my set of choices. Now I’m thinking of giving him tools for his electronics course and gadgets for his computer class. I know that whatever I would give he’ll appreciate it so much.